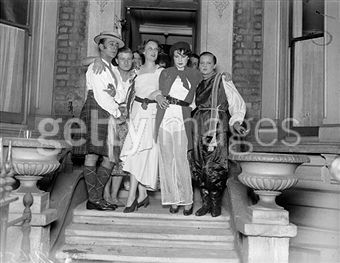 On October 1st Olivia Wyndham and Marjorie Firminger hosted a party at 37 Glebe Place,Chelsea (Olivia’s mother’s house). The photographs are revealing for a number of reasons. Firstly, they show the mutuality of the relationship between the media and the Bright Young People, as described by Patrick Balfour in Society Racket (1934) and explored more recently by D.J.Taylor. Secondly, they demonstrate very clearly the overlap between lesbian and gay Bohemia and Society’s “Smart Set”. Finally, they show us what some of Elvira’s circle looked like in full party mode. 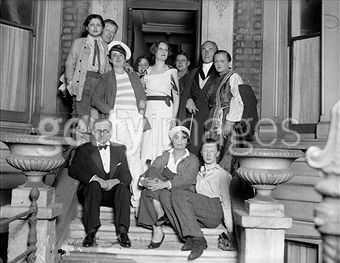 The term “Freak Party” was a general one for a fairly informal fancy-dress party as opposed to a strictly themed affair. This party is almost certainly the one whose invitations included the phrase “Come As You Would Like To Be” which, if true, helps explain the visual styles on display. 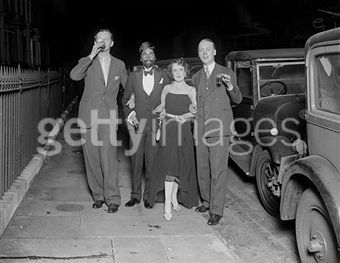 Hugh Armigel Wade, pianist at The Blue Angel and Blue Lantern, was a close friend of Elvira’s and also of Elizabeth Ponsonby, possible the best known of twenties’ party-goers. 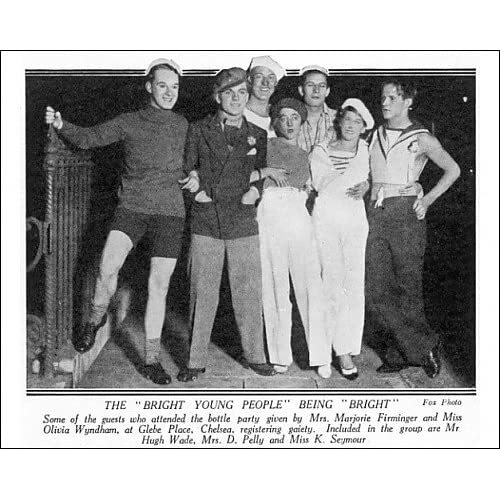 Olivia Wyndham is the one in the naval cap. 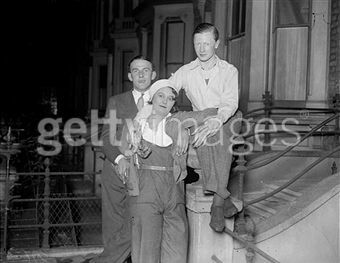 The mannish figure next to her might just be Heather Pilkington. Anyone know who these guests are? 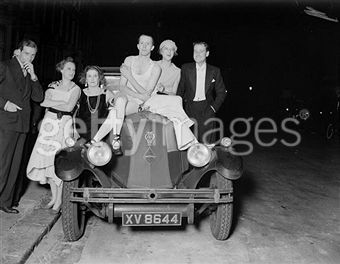 Dennis and Elizabeth Pelly on the bonnet, Marjorie Firminger in white dress. Harry Melville had been a friend of Oscar Wilde and Walter Pater. 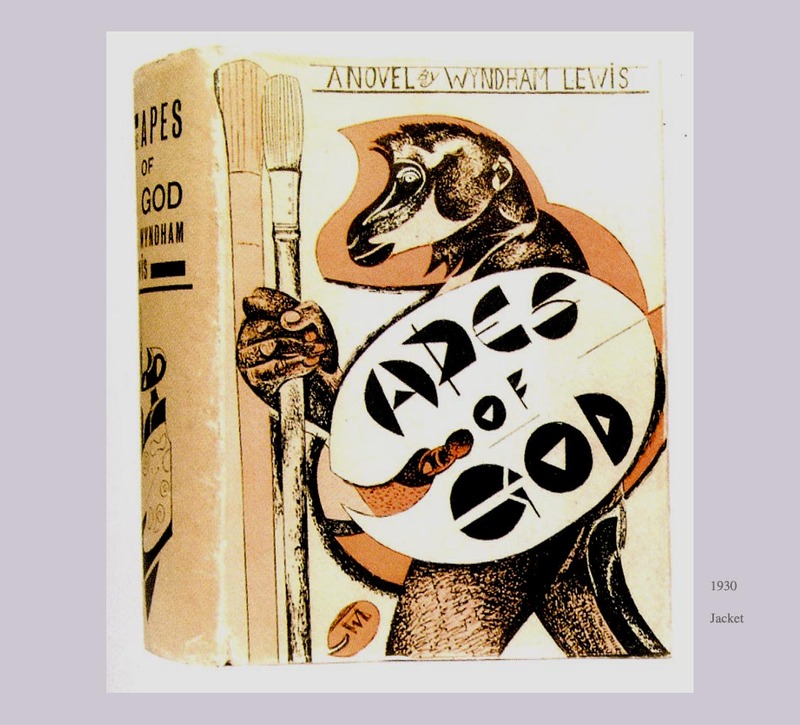 He was still going strong in the 1920s – a noted bon viveur, dinner party host and raconteur.He had been a theatrical impresario and latterly a reviewer of Dance records in the Gramophone. He was often seen at BYP gatherings and was treated both as an amusing relic of the Victorian era and as a revered link with an earlier decadent movement. He was said to be in his eighties at the time of this photograph but I’m not so sure about that. 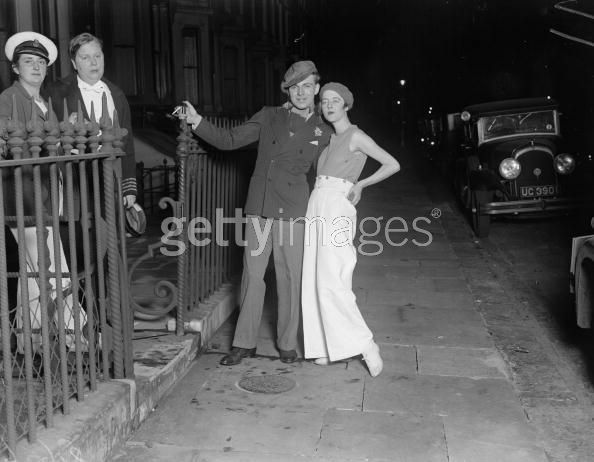 The Miss Dawson is Beatrice “Bumble” Dawson (1908-196) – a contemporary at Chelsea Art College of Edward Burra and Barbara Ker-Seymer. She later became an important costume designer for the British film industry. 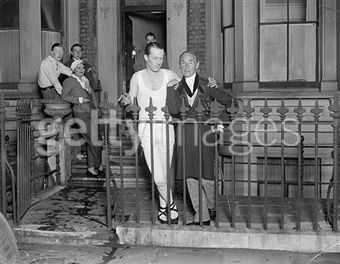 Of George Goodenough, Edward Burra recalls that at a cocktail party in 1929, having been punched in the face by the hostess, Olivia Wyndham, Goodenough retaliated with interest and flattened her. I assume that this happened some hours after this picture was taken. Gandarillas was a Chilean diplomat and notorious gambler. He was the principal lover of the artist Christopher Wood who committed suicide in 1930. Brenda Dean Paul, though still glamorous, looks seriously stoned to me. Some of the same faces again. The woman with her arm resting on Olivia Wyndham’s shoulder has a vague look of Clover Pritchard, another of the Burra/Ker-Seymer set. Of the people in these pictures we can only be certain that two, Olivia Wyndham and Hugh Wade, were at Elvira’s cocktail party. However, others may well have been there or at earlier ones. Hugh Wade’s closeness to both Elizabeth Ponsonby and Elvira would also make it likely that these two hard-partying and self-destructive women crossed paths more than occasionally.